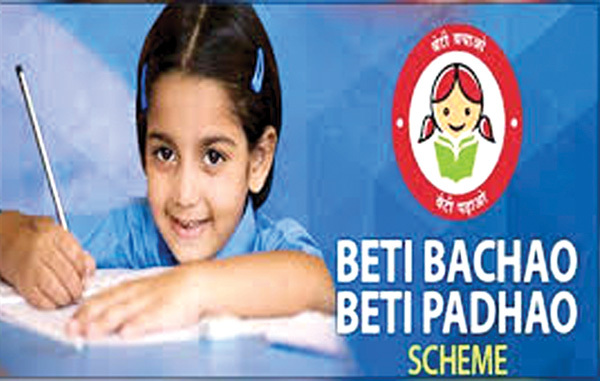 Safety of women -something like the slogan “ Beti Bachao-Beti Padhao” has become a hot topic in society today. Both are no doubt very important for the overall growth of society where women constitute half the populace. Needless to say, the well being and development of women should be well cared and protected from birth. Their healthy existence forms the backbone of our society. But frankly speaking they are the most neglected members of our country. Right from the time a girl child is born into a family an unhappy atmosphere looms large around the whole family in the belief that she is a girl and will be unproductive because she will not earn and contribute to the family booty. Moreover, spending money on her education, upbringing etc will all go in vain because after a few years she will be married off and sent to another family. This is one aspect of human tendency towards our girl child-a practice more prevalent in India perhaps. Another inhuman aspect in a girl child’s life is in taking care of her health. A woman has some special traits in life. She is supposed to be a mother and give birth to a member in the family or society. But it is here that she is most neglected in the family sometimes because of ignorance about how to handle the situation when the young girl first becomes conscious about herself-of her physical and biological changes taking place in her body. Such a situation may arise at the age of 12-13 years when the young girl becomes nervous and scared and embarrassed too, specially when she starts to menstruate requiring sanitary protection. This is the time she needs someone with whom she can confide to and seek help to overcome the situation. A mother is the ideal person for this. Frankly speaking, mothers in India consider these changes at puberty of a girl child in their stride as if this is nothing to be bothered about as they too have been through this. Mothers should be educated and open so as to assure the young girl in such condition of mind and explain to them these changes of nature. This in brief is the picture of the upbringing of a young girl child. Nowadays, the picture is vastly changed. The girl child is also getting choices to attend schools and learn many facts of life from life sciences taught in schools. Yet, it is incomplete. Though girls have come to know about the existence of sanitary napkins etc that can protect them from diseases and embarrassment, but family background for all these girls are not the same. Though the expensive safety measures for health can ensure some security to them but most still cannot afford this health requirement may be due to poverty or ignorance in the family. In such a situation our government should come forward and stand by the financially weaker sections of society to assure them of safety for their health. This is such an important issue that the citizens by themselves cannot solve this problem. Moreover, women are so shy about the whole issue that they feel awkward to even buy a packet of napkins. They just go to a shop and mumble the name of the brand and collect it from the shopkeeper without enquiring about its quality. Being a health product means it should stand some guarantee of proper healthcare. But it is bought and sold in such a hush-hush manner that quality never figures in the sale or purchase. Even these days sanitary napkins are bought and sold based on the cost, design and packaging. The health hazards of using commercially sold napkins are definitely there. Scientifically, there is much more to study to offer hundred percent safety for women using these but, in our country, only a very small section (12 percent) of society uses sanitary napkins. So, nobody bothers about the manufacturing process. But nowadays things are slightly different. The recent movie “Padman” has for the first time opened our eyes to the need of manufacturing quality sanitary napkins. This is a most welcome development. Our government does not yet seem to take this issue of woman’s health seriously. A silver lining is seen with some women’s organisation trying their best to do their bit in this neglected area of health of our female population which is in dire need. While the government cannot shy away from its duty, I feel the corporate body could also do their bit in this worthy cause.